The comments below related to the downloaded version of Active Trader Pro. Greeks on VIX options are much better. Fidelity is now using the front month VIX future as the underlying for all VIX option series. This is certainly better than using VIX as the underlying, but this gives incorrect, although less wrong months for the later expiring futures. The appropriate month future should be used as the underlying for each series of VIX options (e.g., October futures for options expiring in October). Many major brokers (e.g., Schwab, E*trade) continue to do this wrong by using the VIX as the underlying for all VIX options. Ability to generate options charts. These charts can be accessed by right clicking the option you are interested in on the option chains and selecting the “Chart” action. The charts can be maximized to full size and the data can be exported to a spreadsheet. Unfortunately, expired options cannot be charted. Greek support on option chains including bid and asked implied option volatility, not just the average of the two. See Fidelity’s release notes for a full listing of new capabilities. On the order screen, you can right click and get the option of duplicating an order or creating the close out for the order. This is a very nice and convenient feature for option trading. The option chain functionality allows setup of three and four legged option strategies like butterflies and condors so that they can be priced and put in place with a single order. Conditional orders have a lot of flexibility, including specifying bid vs ask prices—important for lightly traded securities. Displaying both the ask , bid, and midpoint prices for option combination orders. Since options tend to have wide spreads, and typically you can usually transact options trades near their mid prices this is a very important capability. Exporting of chart data, along with time stamps (right click on the chart and choose “export”). Very useful for doing your own spreadsheet analysis offline. Intraday charts are supported for up to a month in duration. Support for option spreads in IRA accounts for equities and indexes—including cash settled indexes. Storage of things like watch lists is account centric not computer centric. Once you create/modify a watch list it syncs with all of your computers when you use Active Trader Pro. Greeks now look correct for weekly / quarterly options. Before the durations were set wrong, now they appear to be using higher than daily resolution—very good! No mid-point prices for single security or single option quotes or watch lists. 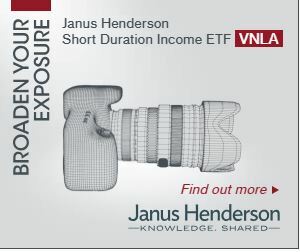 This is a significant usability issue for options and ETF traders where wide spreads are common. This deficiency is surprising since they do such a good job with more complex orders. Charts don’t allow setting the length of pre/post market trading displayed. Right now it’s an on/off choice and the “on” choice uses up a lot of chart real estate. Execution of combination orders like buy-writes can be very sluggish. It is not an automated process and your order may not fill even if the limit criteria is satisfied. VIX options series, other than front month using the front month future as the underlying security. SPX options expiring on Friday morning are not treated as expired until Monday! This can create a serious issue if you’re short those options in a options calendar spread. A workaround is to roll the longer term options to a much higher strike price. On at least some of the combination option orders not all of the bid-ask prices for the various options are displayed. Fidelity puts restrictions on how many shares you can buy or sell in a single trade on low volume securities. This is intended to protect users from getting bad fills on illiquid securities. However, it also prevents traders that know what they are doing from trading efficiently. Fidelity’s override process is currently very cumbersome. They need a simple override that removes the restriction at least for the day if the user demonstrates they understand the potential impact of orders on low volume securities. Some limit orders are rejected because they are too far from the currently traded values (e.g., 50%). This is probably reasonable for equities, but is ridiculous for options. I have had difficulties with the platform allowing me to selling call options on security positions that already have protective puts to create a collar option strategy. The software wants to treat this as a naked call, which is totally inappropriate. Multiple platform support for Active Trader Pro. Some easy way to close out all the windows that accumulated with use. Right now you have to open each one individually and then close them. Ability to chart midprice quotes at the specified frequency (split the difference between bid and ask) instead of trades. This would improve the chart quality of lightly traded securities and options dramatically. A frequency of 5 minutes would be a good compromise between graph readability and data storage requirements.